but essentially it is relatively plain-sailing. Unfortunately, there are several dragonfly species that settle on very infrequently. These are hunters which, rather than lying in wait for a victim on a handy perch, are almost constantly cruising around for a meal (another flying insect). Tracking one of these moving dragonflies is another matter entirely though some give you half a chance by hovering occasionally. 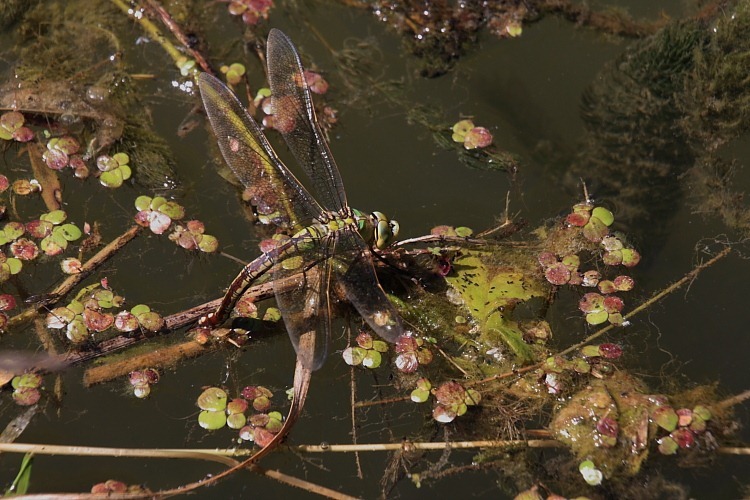 On one of our earlier forays into the marsh, we’d past a pond and spotted a dragonfly with vivid green eyes zooming restlessly back and forth. 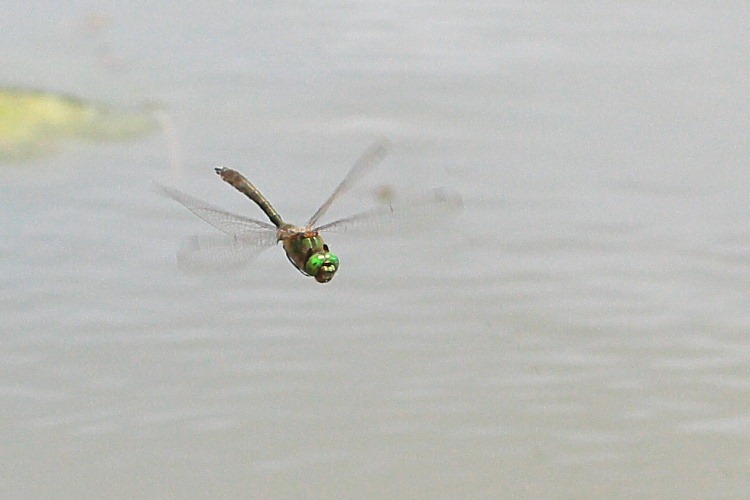 I suspected it was a Downy Emerald (Cordulia aenea) – there aren’t that many with vivid green eyes – but attempts to return to the pond for proof seemed doomed to failure for one reason and another. On our second cycling attempt to return, I left Francine at the pond while I returned to camp to retrieve the car. [Ed: Don’t ask!] She used her time very productively and snagged this shot to prove the id of our suspect. She did well – it was not hovering obligingly. First, Purple Emperor butterflies and now Emperor Dragonflies – that competes the imperial set.